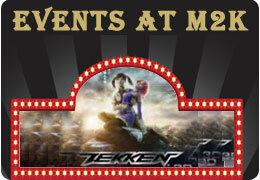 Congratulations: You have successfully subscribed for M2K Cinemas NewsLetter. International Panaacea Limited is an M2K group company, founded in 1994 with a work force of about 700 ambitious people. The Company has located its headquarters at New Delhi to develop inputs for organic farmers to help improve soil fertility and prevent pests and diseases. This soon led to a more committed involvement to facilitate organic certification of farmer's groups and provide them with a premium market. We are actively engaged in development of technology and in the commercialization of industrially important products which is the result of a fermentation process along with other bio-techniques. IPL is a fully equipped centre with state-of-art Research & Technology Unit, Research Lab and a pilot plant to top it all. IPL has a total fermentation capacity for about 20KL (20,000L). The Management has a passion for the promotion of organic farming provided a social dimension to organic production. IPL has witnessed remarkable growth since the beginning with its certification services India and International. With approximately 700 People associated with us, we pride ourselves in providing end-to-end solutions for organic agriculture in India and are involved in each stage of the supply chain, from production of compost to the export.